The mind behind the God of War series believes gameplay must always come first, even at the expense of the story. If you were on the internet on October 24, 2011, you might remember that Eurogamer awarded the upcoming Uncharted 3 a very respectable 8/10. You may also recall the intense backlash that followed. Many of the comments for this piece made it sound as though the reviewer, Simon Parker, had personally murdered each poster's pet. 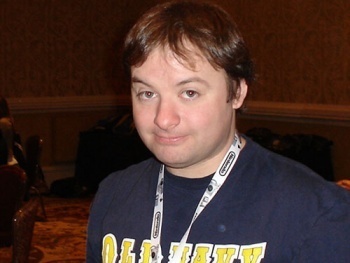 Never one to shy away from criticism, God of War director David Jaffe stepped into the fray and defended Parker. Moreover, Jaffe used the review's criticism of Uncharted 3 as a launching point to discuss the role of narrative in games. When story and gameplay clash, says Jaffe, story must always take a backseat. "I want our games to serve the gods of gameplay first and foremost," writes Jaffe on his personal blog. "[Our] team's desire to tell a story/make a movie may or may not get to be fulfilled (depending on the game) but if we do tell a story, it will never come at the expense of the gameplay (the thing that makes our medium matter and special)." He goes on to explain that he will - and has - cut story content because it got in the way of the interactivity and experimentation inherent in gaming. Of course, Jaffe is hardly against a good narrative to go hand-in-hand with a game's mechanics. "Ideally, the best games are those that do both." With this mindset, Jaffe believes that Parker's review is fully justified. "[The review calls] out what some people consider a fundamental flaw in many of today's console titles where making 'cinematic experiences' seems to have become a more important goal than making games. How refreshing that a great, hyped, and soon-to-be much loved game can be praised ... [and] criticized for what a reviewer thinks (agree or not) are genuine issues." Jaffe cites games like Madden, Mario, and Modern Warfare, suggesting that while good gameplay and a great story will generate respectable sales, a strong narrative is almost irrelevant where the industry's megahits are concerned. For those who have played Jaffe's games, it's pretty clear that the man has a great respect for gaming both as an interactive and a storytelling medium. As games become more and more cinematic, it's difficult to tell where the hammer will ultimately fall. Is it fair to criticize a game for being too scripted if the trade-off is a cinematic experience that would leave moviemakers jealous? On the other hand, how strong can a game be if its narrative falls flat?